Thanks, Mail Carrier | Celebrate Dad with a Kushies discount! What better Father's Day gift than a great deal? Last fall I was fortunate to write a Kushies review on their amazing Swaddling Blanket and I was instantly impressed with this company's extensive line of products for all ages. So who wouldn't like to hear about a good sale? From today through Sunday, June 20, you will automatically receive 15% off of your entire order, no coupon code needed. If you had your eye on a baby shower, birthday or new mom gift, now's the time! 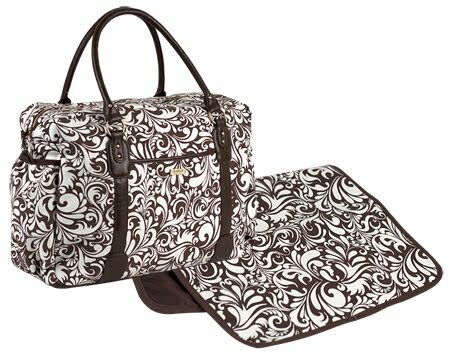 Kushies Boho Diaper Bag: Their chic, new diaper bag with all the practical features you need! Includes multiple pockets for easy organization, an easy access exterior pocket, stroller snaps with snap closure, two bottles pockets, a pacifier pocket and a convenient padded change mat. Retails for $49.99... but remember it will only be $42.49 with this weekend's sale! 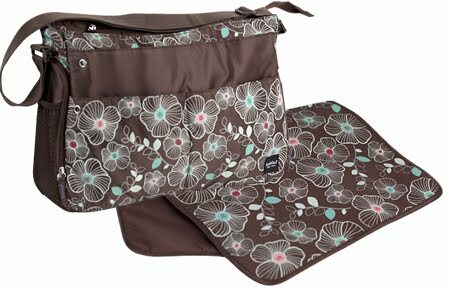 Kushies Whimsy Diaper Bag: Their durable, new diaper bag with all the features you need and a whimsical touch! Includes multiple pockets for easy organization, stroller snaps with snap closure, thermal bottle pockets with reflective insulation, pacifier pocket and key fob and a convenient padded change mat. Retails for $39.99... which means only $33.99 until Sunday! From essentials to gifts, Kushies has a great selection of high quality products and exceptional customer service that everyone can enjoy... happy shopping! 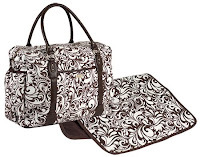 Those do look like great diaper bags:) Hope your hubby had a great Father's Day!